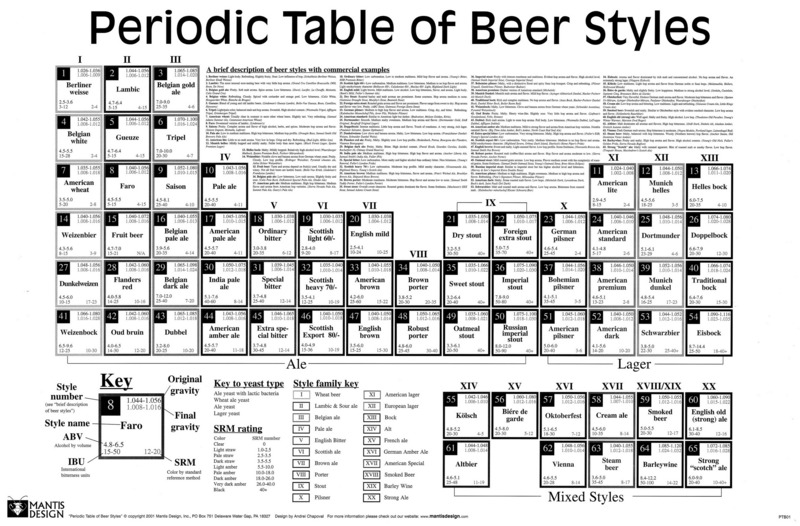 Beer lovers brace yourselves for a wonderful trip into the hoppy world of brewing in these insightful 13 charts into different kinds of beer and much much more. Learn a myriad of fun tips and facts from our early beer drinking days in the Middle Ages to which kinds of beer pair best with which food as well as identifying your favourite aromas. And if you want to put your new found knowledge to the test you can always head to the world record breaking Beer Garden in Raleigh, where you'll be spoilt for choice with over 300 beers on tap. It's always great to have some handy beer hacks up your sleeve, you never know when they might come in useful, like tricks for chilling bottles fast and storage tips maximising fridge space. Check out how many you know. Top up your pint with some beer based facts as you prop up the bar. Like it was one of the healthiest drinking options in the middle ages, or if you get anxiety over your empty pint glass you could be suffering from a bonafide condition called Cenosillicaphobia. Find out more. 65 different styles of beer are listed in this comprehensive guide and starting point for any amateurs or those looking to extend their knowledge. Not sure you're really a beer fan or haven't found the right one for you? 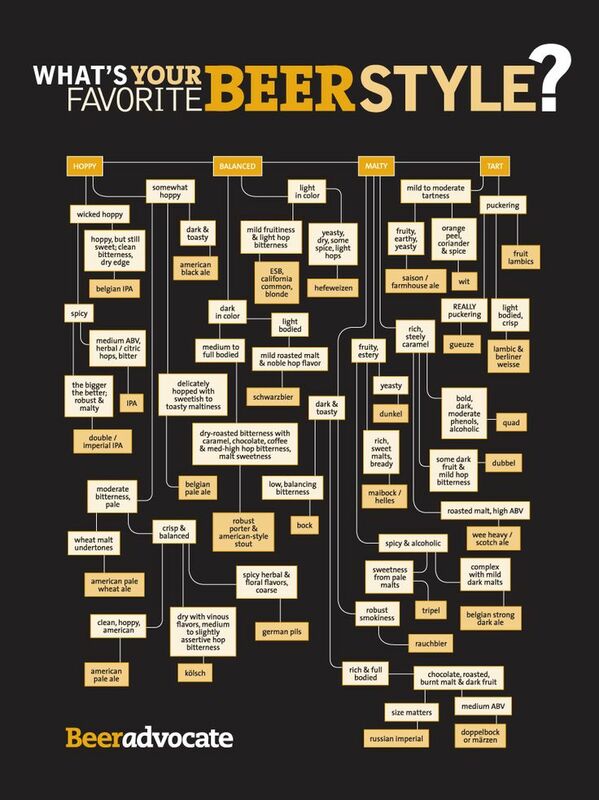 This useful guide of beer styles will take you on a journey matching you to the right ale or beer that boasts the flavours you enjoy. When it comes to happy hour doesn't mean you have to trade in your pint. Here are 12 cocktails based on beer that look like they could get the party started early. If you're a beer lover or wine lover doesn't mean you have to sacrifice the other. The aromas that you enjoy in a glass of spicy syrah can also be found in a pint of porter. Check out some other interesting matches. This useful guide offers up the correct serving temperature for beer along with some serving suggestions. Like next time you have a curry, try it with an IPA. Far from cheese just being friends with wine, it's by no means exclusive as to who it shares the table with. Infact several different types of beer pair equally with ale. Just think of the traditional British ploughman's platter. It's official, Millenials are boosting craft beer sales. Find out more about the buoyant future of this growing market in this insightful guide. Beer takes centre stage in these simple cocktails ranging from the classic snake bite to the eggy red eye. If you happily swig your beer from a can in bliss, there are three valid reasons why you might enjoy it even more out of the appropriate glass. Take a look and find out more. Know your snifter from your pilsner and your goblet from your tulip? If not, don't worry you're not alone. 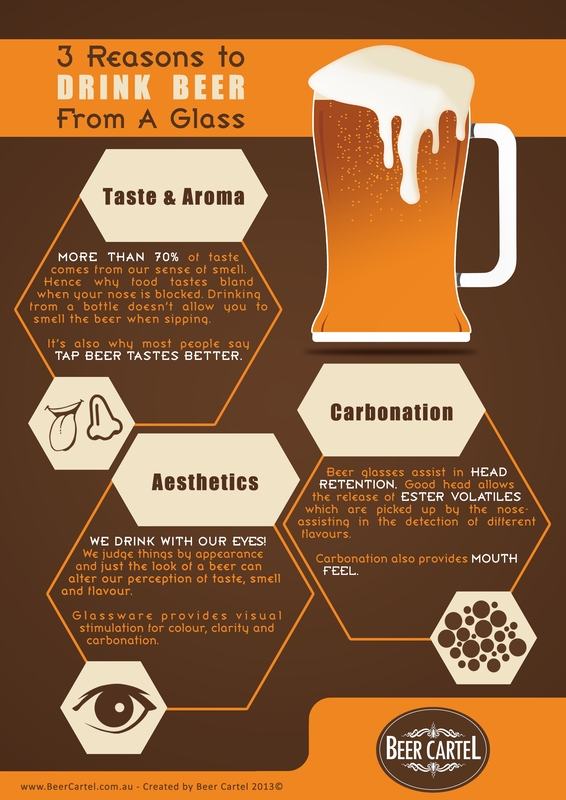 Here's a useful line-up of some of the most common beer glasses, with an explanation on why. And finally a bit of beer fun! If you were a beer what would you be, a thick skinned stout or a guilty lager. Take your pick.